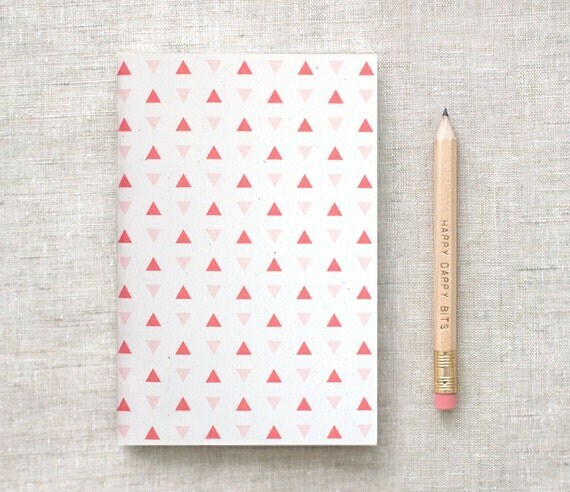 Modern mini journal with tiny triangles, made from natural textured and speckled recycled materials. Features a small pattern in shades of Coral, Navy Blue, or Mint Green. 20% OFF purchase of $10 or more, Code: OCTOBER2013.